The team at Hunters Estate Agents and Letting Agents Sheffield Crookes specialise in the selling and letting of all types of property in Sheffield city centre, together with the South West of Sheffield in S7, S10 and S11. The Hunters Sheffield Crookes branch is independently owned and operated by Stuart Goff along with two sister branches in Hillsborough and Woodseats. Stuart established his first office of Goff’s in 1967 and now works alongside his son Stephen, continuing the family business which Stuart started nearly 50 years ago. The team at Hunters Estate and Letting Agents Sheffield Crookes are trained to the highest standards by the Hunters Training Academy, are members of the National Association of Estate Agents and ARLA and in addition Stephen is a Chartered Surveyor. I thought it fitting for me to conclude our business, as I was in quite as rush the last time we saw each other. I just want to say thank you really. I have had some pretty dire experiences with estate agents in the past, fortunately this was not one of them. I really don’t know what more Amy could have done for me. She was absolutely brilliant from beginning to end, cheerful, respectful, patient (especially with me) and quietly determined. I even saw someone the other day who had taken their property off the market with you and put it on with another agent, I expressed my opinion and told them they had made a big mistake. We got there! Thanks again for all your help and for doing the jobs of other people! Hallelujah! I’m so pleased and relieved we’ve completed. Thank you for all your support over the years and I certainly owe Caroline one. I appreciate your services over the years and I do hope to come back and do business with you. I would be grateful if you could pass onto all concerned my heartfelt thanks for all you have done over the past few months to enable the sale of my late mothers property. As I initially discussed with Steve the reason I chose Hunters over any other agent in Sheffield was purely based on personal experience of the "group" in the past when I purchased my own property in 2009. I know that we had some initial hiccups but thanks to the dedication and the hard work of all the staff at Hunters the day of completion came and passed very smoothly! I even had a call from the Customer Services Manager, a lovely lady, and I have now completed the online survey and of course have scored with high praise the staff at Hunters Crookes branch. Just wanted to say thanks again for all your help with the sale. We have settled into the new house really quickly. Thanks so much for everything you've done! Really appreciate it. I'll definitely recommend you guys to anyone in Sheffield. I was very happy with the way Hunters handled the sale of my house. The process, which should have been straightforward, was made complicated by an uncooperative seller on the next link in the chain but Amy did a great job chasing the right people, pacifying the buyers, and keeping me informed throughout. Just to say thanks for all your hard work and help securing the sale of our house. When things got difficult you were there to help and make sure things ran smoothly. The weekly updates were much appreciated and kept us up to date on what was happening. You are all amazing! Many thanks for the professional service you gave me in selling my house. I am very happy in my new place. Just a little thank you note to say thanks so much for everything. You have been so helpful and great with everything from start to finish! Thank you to everybody at Hunters that made our move as smooth as possible! I never dreaded a phone call from your lovely team. Thank you for your excellent customer service in what could have been a very stressful time! Click to view preferred suppliers for Hunters Sheffield Crookes. A Hunters franchise owned and operated under licence by SG Property Agents Limited. Our post code is S10 1TG (number 208 Crookes). From the City Centre, follow the signs for Sheffield Childrens Hospital and The University of Sheffield. Continue on Whitham Road past the Childrens Hospital to the traffic lights in Broomhill. Turn right onto Crookes Road and follow onto Crookes. Continue to the traffic lights. We are situated close to the traffic lights on the right-hand side, opposite Duncan Road and parking is available on a number of side streets or the parking bay in front of the office. If travelling by bus from the City Centre, the stopping point is located on Crookes at the corner of Duncan Road. 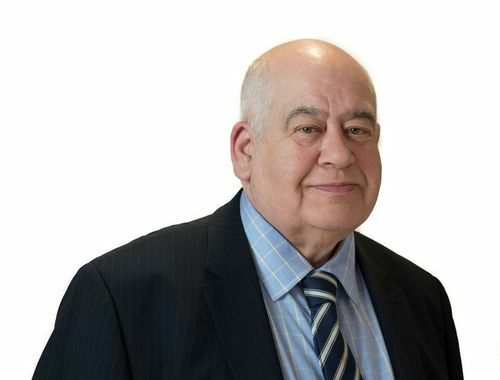 Stuart Goff commenced business as Goffs Estate Agents in 1967 in Sheffield city centre and then opened the very first agents in the suburbs with Woodseats, Hillsborough and Crookes by 1970. Having opened 18 branches, he sold the group to Prudential and became a director until becoming an independent agent again three years later when forming Totally Terrace and restarting Goffs. He then acquired a franchise for Bairstow Eves Countrywide which became part of the Hunters Group of over 200 offices in 2011. Although still working full time in the business he leaves the hard work to his Chartered Surveyor son Stephen and the excellent staff who have all been trained in the Hunters Training Academy. 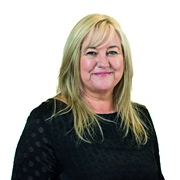 Caroline has worked with Stuart for 20 years and during this time, she has kept on top of the fast paced environment of lettings. She has gained great knowledge working in the property industry and thoroughly enjoys working for Hunters. She has lived in the West of Sheffield all her life and her hobbies include playing golf on a Sunday and exploring different cities. Crookes is a popular residential area located west of Sheffield City Centre, and boasts an abundance of amenities, predominantly based on the main road (also named Crookes) which runs through the centre of the suburb. The shopping centre includes many well-known chains, together with a variety of traditional independent stores. Crookes has a very welcoming community, with residents of all ages coming together to enjoy the wonderful restaurants, cafes and friendly local pubs. The area is served by the No. 52 bus which provides easy access to Hillsborough shopping centre, central Hospitals, Universities and all the shops and amenities in the City Centre. In the heart of Crookes lies the Bole Hill Recreational Ground which overlooks Rivelin Valley and is an idyllic area for walking. Other features include a childrens playground, a BMX trail and other sporting facilities. Crookes is also blessed with good local schools including Lydgate Infants and Juniors and Westways Primary School. King Edward VII & Tapton secondary schools are also within the catchment area.